A friend on Facebook posted this interesting little article in the Morning Advertiser today, which basically states that Dry January will "be the death" of the British pub. The article goes on to state that 5 million British drinkers have signed up for the "official" Dry January project run by those tireless, puritanical, temperance folks of Alcohol Concern. The number of people completing the challenge in previous years is not mentioned. If my own observations of friends who, like me, attempt to take 31 days off the bevvy can be extrapolated out, I would not be surprised if fewer than 2 million people actually succeed. 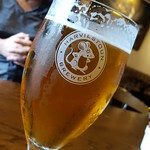 I have mentioned in previous posts that I have little truck with either the official Dry January brigade or the plucky rebellious sorts advocating for Tryanuary, which encourages folks to break out from their normal drinking, preferably at some craft beer, leave your wallet with the barman, type place. Now forgive me I am being cynical but could someone please just decide what exactly it is that is killing the British pub? Is it the smoking ban? Brexit? Climate change? It seems at times that anything that diverges from the image of Blighty as basically The Shire writ large is the greatest harbinger of doom for the pub industry. Now forgive me if as a mere punter I am missing something, but haven't we just had the Christmas and Hogmanay period, when pubs are slammed to the gunwales pretty much for the entirety of December? Why was no one complaining that all these people out on the piss were putting too much money in the boozers' coffers? It seems to me that rather than whining to the media about how a dip in custom is affecting their business's profitability, landlords would be better served taking on board the ethos of Tryanuary and give the Dry January folks an actual alternative to booze. I know too many places that only have some crap like lime soda as a non booze option. How about offering traditionally made soft drinks, ditching the post-mix swill from Pepsi or Coke, like those made by Dalston's or Lovely Soft Drinks? 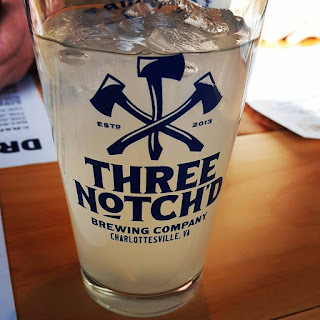 Thankfully here in central Virginia most of my favourite places to drink also make their own ginger beer, and in the case of Three Notch'd it's bloody delicious. Running a business means adapting to market forces and the capricious whimsy of the consumer, pubs are no different. Best cola I ever had was Vita-Cola. I know, I know its history, and it's definitely screwed up, but it's ace. By design, no doubt. Fentimans Curiosity Cola is a good backup too - made in Northumberland I believe. That would be my second choice. I can assure you that most pubs aren't packed to the gunwhales or anything like it during most of December. And, realistically, people aren't going to spend anywhere near as much on soft drinks as they would on beer. The decline of the pub trade is the result of a toxic combination of factors, but Dry January does very much come across as kicking a man when he's down. And plenty of pubs have adapted to market forces by turning themselves into flats!